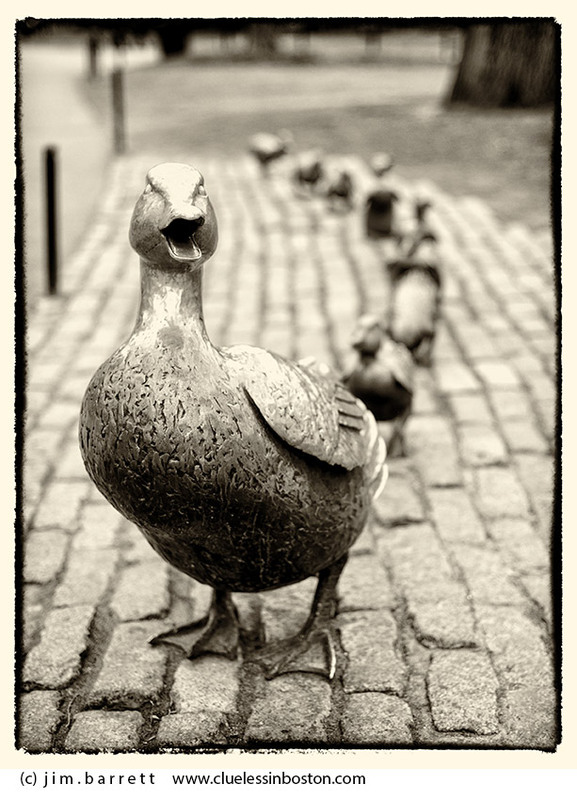 The Make Way for Ducklings statues in the Public Garden. There is currently an exhibit of the Art of Robert McCloskey at the Museum of Fine Arts until June 18, 2017. The exhibit is a celebration of the 75th anniversary of the beloved children’s book set in Boston, Make Way for Ducklings (1941). Duck! Duckies. Always shot a beautiful one. They should be dressing up in their "NE Patriots" attire any day now for the Super Bowl! I absolutely loved reading the book to my kids and was happy to learn that there is a sculpture at the Public Garden. Nice to see some posts from you.